We're Officially Part of the First Maybelline Squad! | Vanity and Everything in Between. 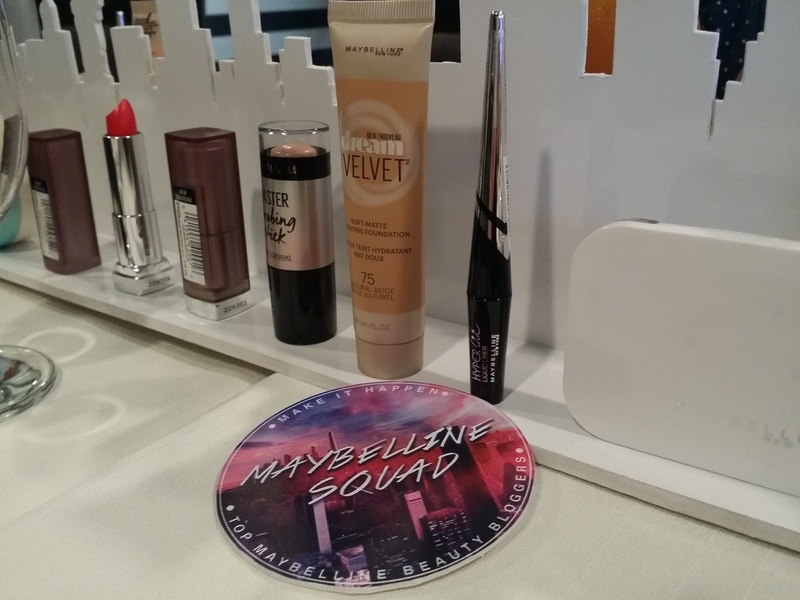 We're Officially Part of the First Maybelline Squad! 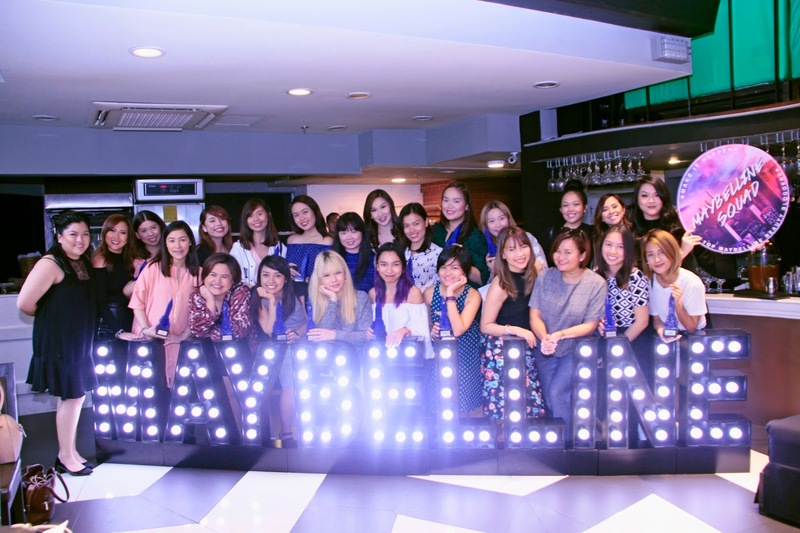 I'm sure you guys know by now that I (this blog) am part of the first Maybelline Squad in the Philippines! How cools is that, right?! This would not have been possible if not for you guys - for your never-ending support to this blog. With that, I'm saying that we are part of the first Maybelline Squad! 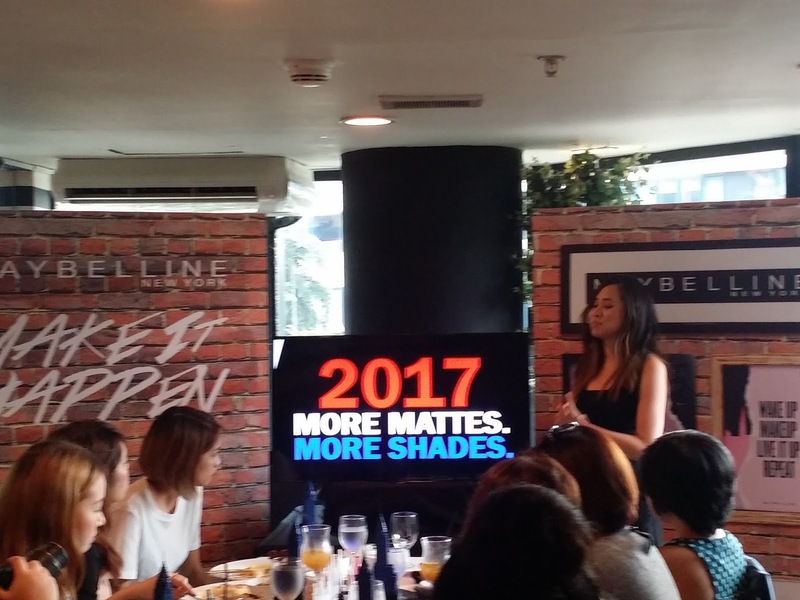 Last January, we had brunch at Solstice with the Maybelline team to brief us of what's in store for the brand this 2017. 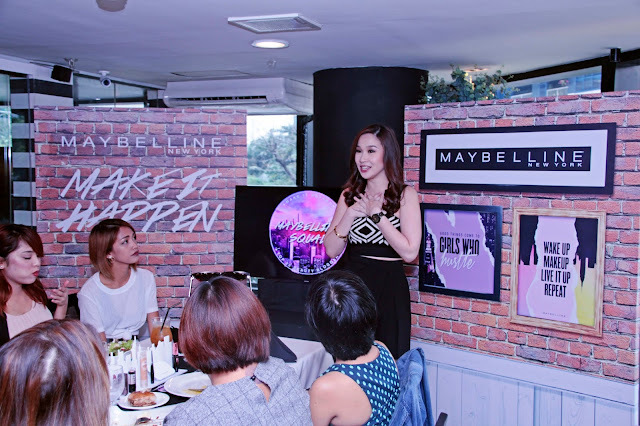 A part of the Maybelline Squad, this blog will have first dibs on anything Maybelline New York product related. Maybelline products in front of me while having brunch because why not. Yes, more mattes. More shades! 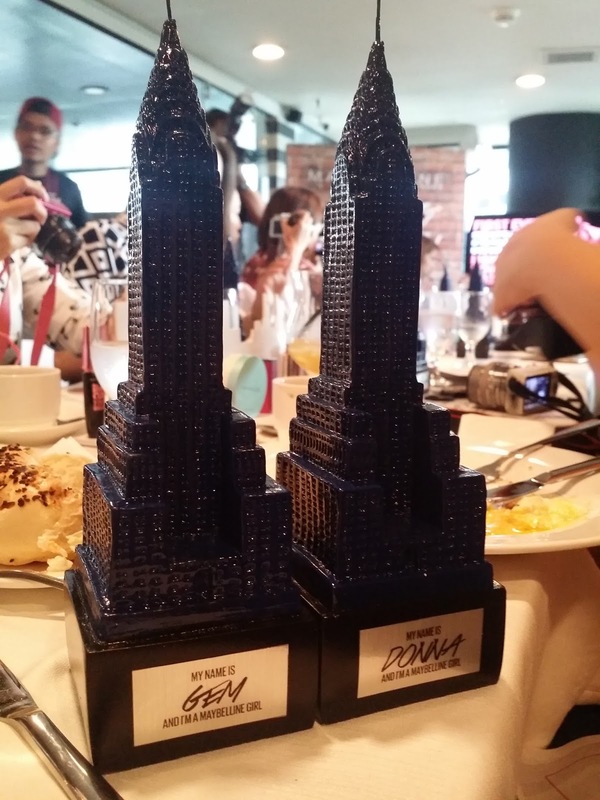 We received this cool "trophy" from Maybelline! 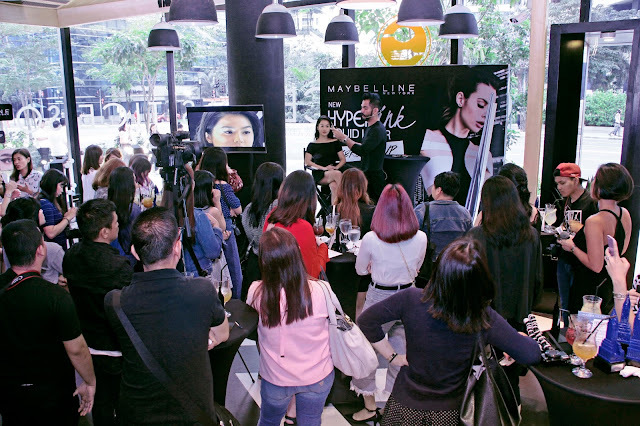 After brunch, it was the launching event of Maybelline's latest eyeliner - HyperInk Liquid Liner. 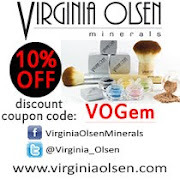 It was a very fun event! What a great way to start the year! There were a lot of games, too! On the photo below, bloggers were challenged to create a winged line in less that 2 minutes. You have to turn the roulette for your designated time and I got 75 seconds. I finished in less than 75 seconds and won a GC! Star of the day was THE Jigs Mayuga demonstrating how to effectively use HyperInk. I swear, he makes it so easy. Jigs in action. 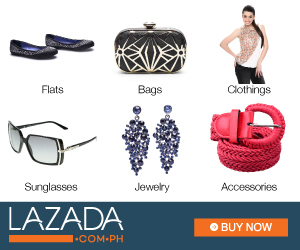 Sana ako na lang yung model, LOL. 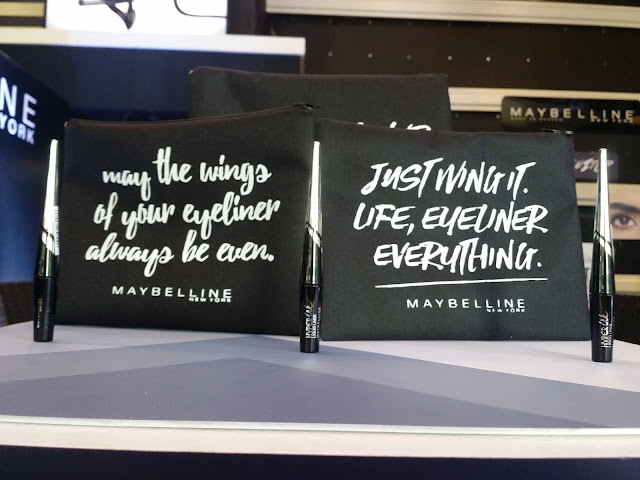 We also got to take home one of these makeup pouches with our names written in calligraphy at the back. I chose the pouch on the right. 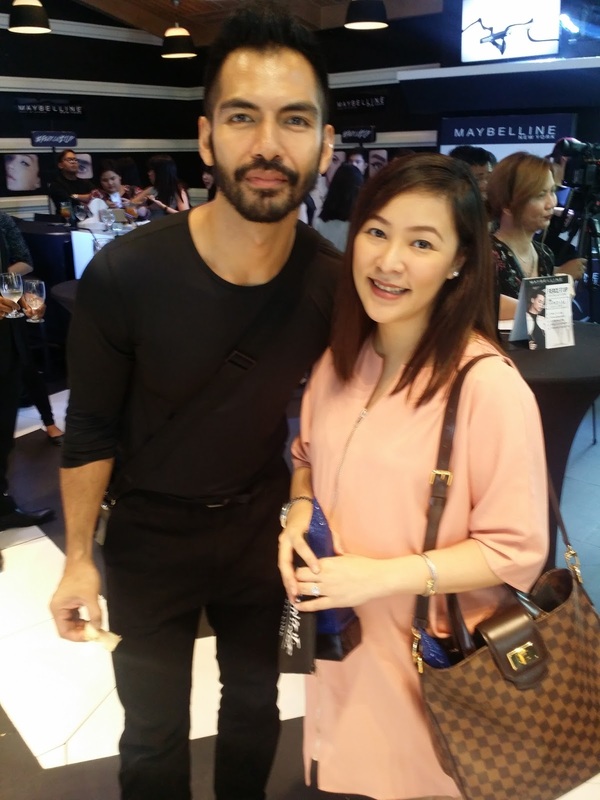 And of course, I couldn't leave the premises without having a photo taken with Jigs Mayuga!